You are going on vacation! Congratulations! Long overdue. As exciting as it is, to really enjoy it you should plan ahead, and plan well. Especially if this is your first big trip, or your previous experience wasn’t too good. Here are a few ideas for your vacation planning: Checklists, things to include and accidents to prepare yourself for! Should I travel by plane, train or drive? To make a better choice you need to consider factors like price of the tickets vs gas and tolls, time it will take you to get to your destination and back, convenience of finding your way around having your own car or using cabs/uber, if you are traveling alone or with someone. How far in advance should I get the tickets? (For airplanes) What are the limits for luggage and carry on? What are the best restaurants / theaters / museums / places to go nearby? Do I need to buy tickets ahead of time? 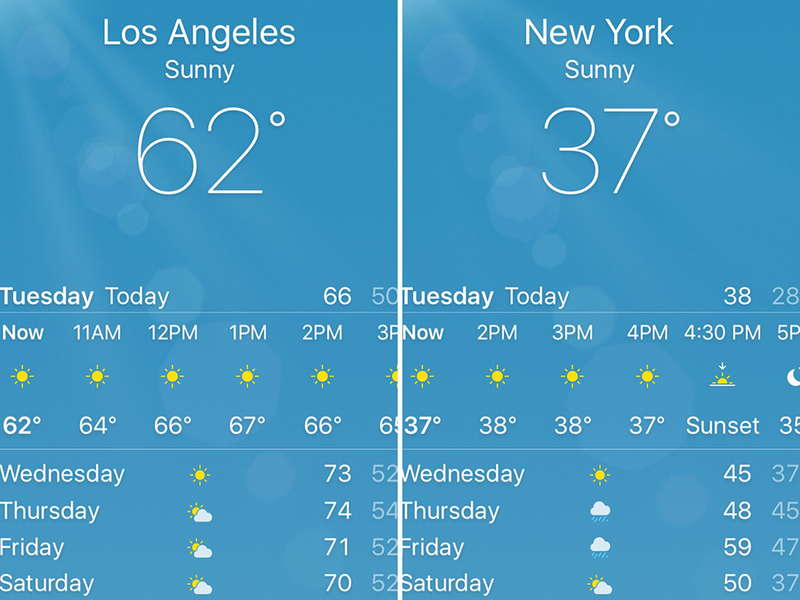 What is the weather forecast offering for the preferred dates? Yes, you do need a valid passport to go overseas. That is not a question. Your enhanced driver’s license will only work for Canada, Mexico and some countries in the Caribbean (and only if you drive or take a boat). (If you do need a visa) How long does it take to get one and how much does it cost? Do I know the language of the country? What words/phrases are crucial to learn to stay safe and avoid scam? What are the limits for baggage and carry on? What are some important customs/traditions/regulations? Do I exchange currency before or during the trip? What forms of payment work there the best? What food is a must to try while there? What souvenirs do I bring home? How do I plan a vacation checklist? First thing first: you need a checklist. People can make fun of them all they want, but those are life savers. If you spend just a little bit more time on creating your personal vacation checklist it’s going to become your main tool for stress-free traveling. Interestingly enough The NY Times travel checklist has your passport and other travel documents under #5 in the carry on list. Passport has to always be #1 in your carry on. Everything else you can buy or even deal without it if you have to. But you can’t go far without the passport. Zenkit is a free planning and productivity tool that can be used to put your own vacation checklist together, and even share it with friends and family. 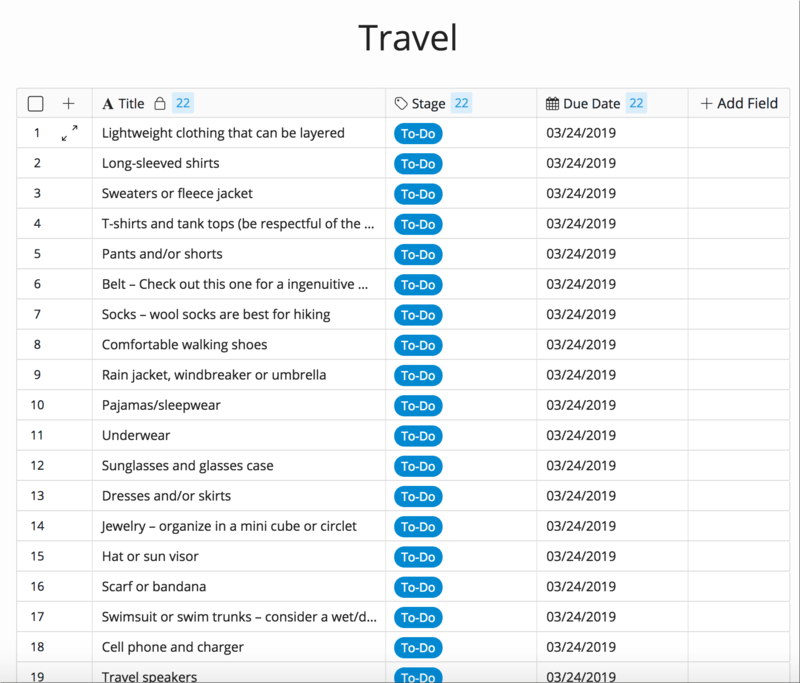 Creating a vacation planning checklist with Zenkit is easy: You can change statuses in bulk, copy-paste large amount of data, change the layout view (list, table, calendar, table, etc.) and share all / any items with a friend. Zenkit has a nice free plan (which is what I am using). How do I plan an itinerary? Time and location of your business meetings/shows/reserved dinners, etc. Save a few hours here and there for something unplanned. How do you plan a trip on a budget? Forget about luxury travel. Someday you will be able to do that, but not just yet. The main goal here is to plan and try spending less, but be prepared to spend more. That’s why you should set your budget and expectations accordingly. Look for the lowest prices on hotels and airfares. 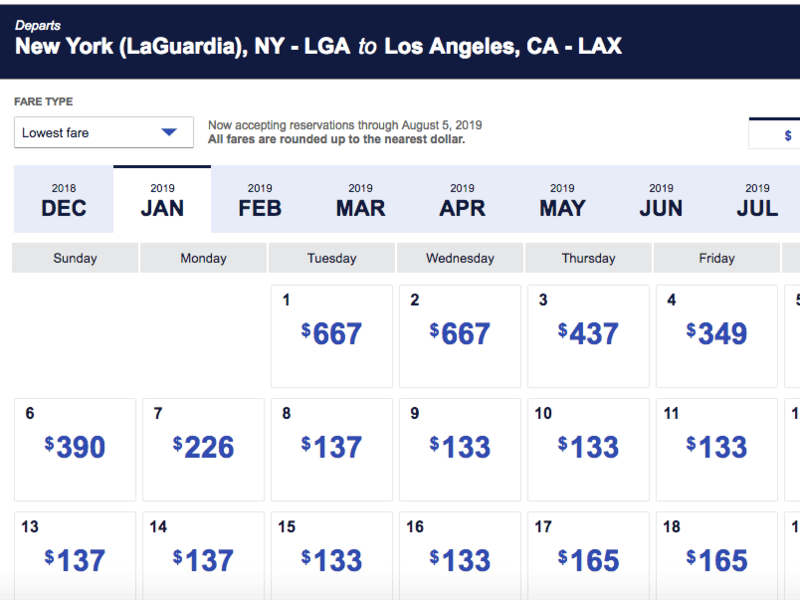 Certain airlines let you book flights more than a year in advance, giving you the best price possible. 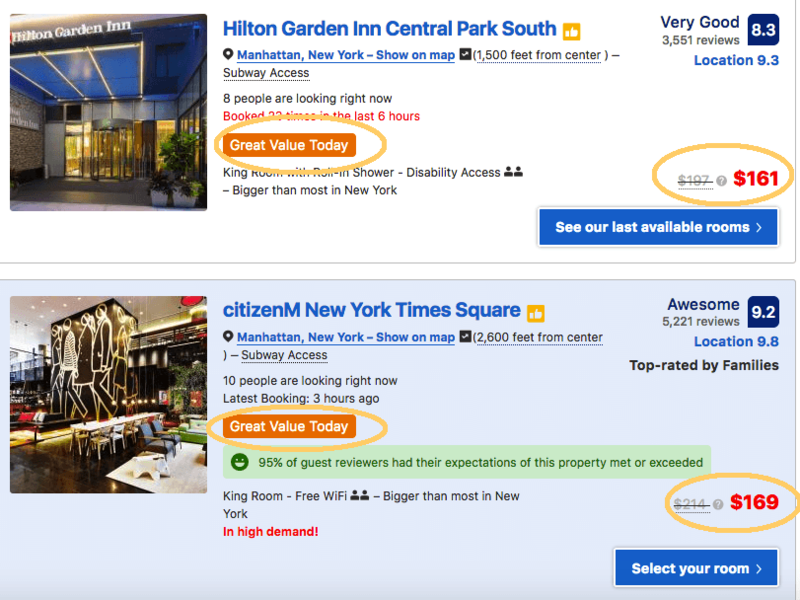 How to find the cheapest hotel? The majority of travelers these days book or at least start their hotel search at Tripadvisor or Booking.com. They do offer nice loyalty programs as an incentive. But these travel websites are not the only reservation systems out there, you have choices. Book with free cancellation in case you find a better deal later or there is a change in dates. Check regularly. Hotels and partner sites, like those mentioned above, have occasional discounts when you can book a very nice four-star hotel for half the price. Just wait for it if the time allows. Subscribe to their newsletter. Let them tell you about their best deals! Price. Yes, it does happen to be lower than the partner sites have to offer. Cancellation/Changing the dates: if you book directly you are more likely not to be charged for the last minute change in reservation. *Tip: when you travel abroad always have a downloaded digital copy on your smartphone and a printed copy of your airplane tickets and hotel booking. You never know how easy it would be to access them online upon arrival in a case of emergency. Visual tools are great helpers! 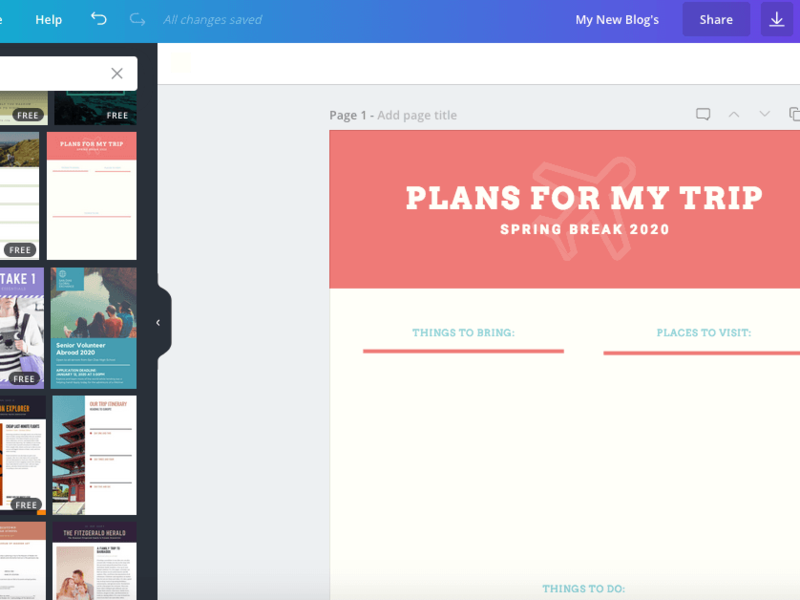 Try Canva, for example, and create your own vacation checklist from the sample they offer. It’s easy and free. You can also find a perfect printable vacation checklists and planners by using tips from this article. And what’s in your vacation checklist? Please share! We hate spam. Your email address will not be sold or shared with anyone. 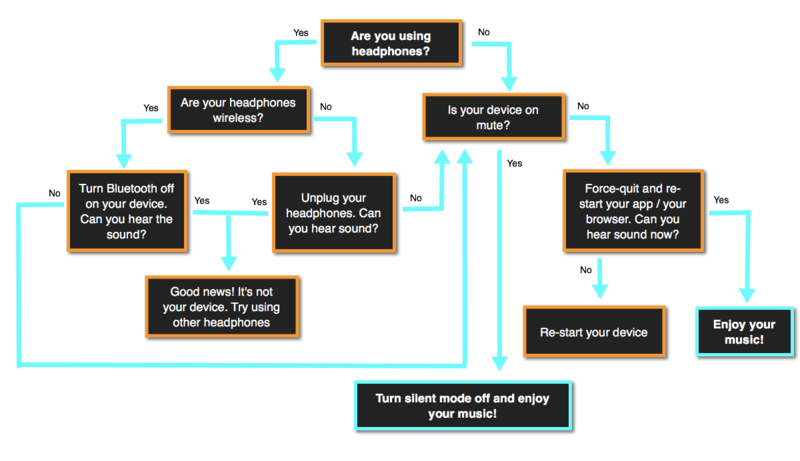 What to do while listening to podcasts to fit them more productively in your busy life? 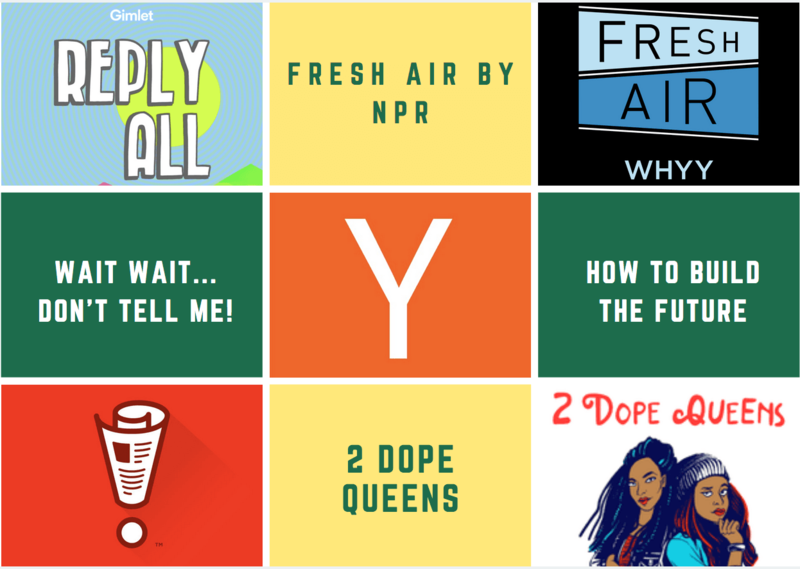 Here are a few ideas as well as best podcasts to listen to in the background. Are you experiencing no sound on Youtube? Here are quick steps to fixing the issue on iPhone (and iPhone 7), iPad, Android and any desktop browser. Twitter's notification service can become very intrusive. 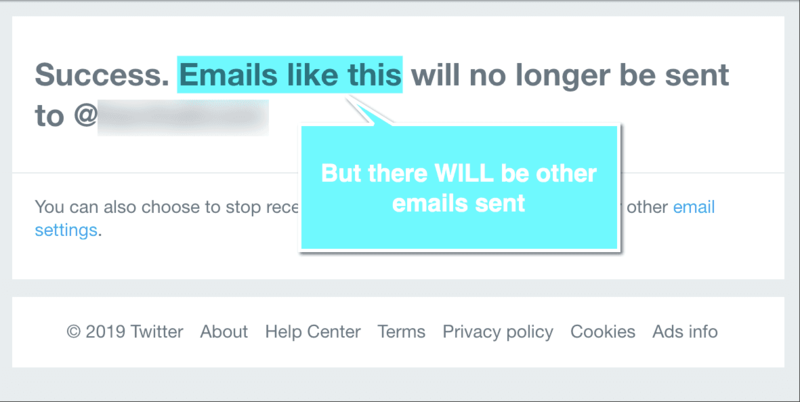 Here's how how to stop Twitter emails for good.